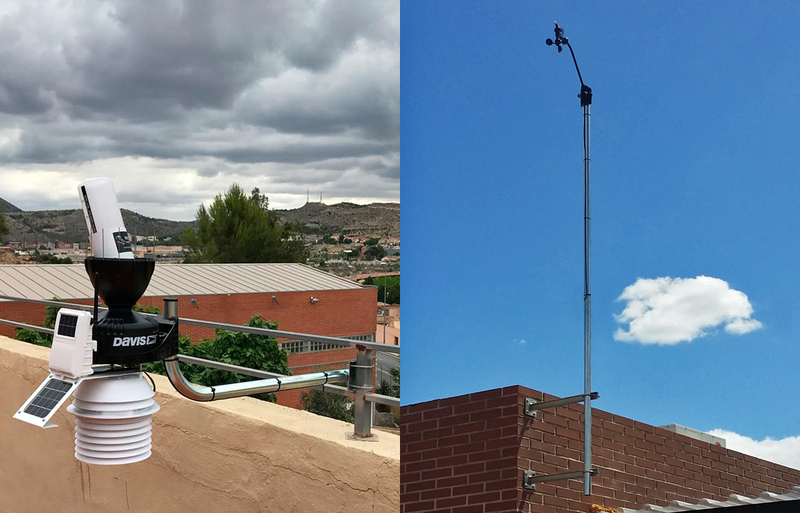 Installed in the Elda Fire Station, the new municipal weather station is equipped with sensors for measuring wind speed and direction, temperature, humidity, precipitation and atmospheric pressure. The rain gauge has been calibrated specifically for the rain intensity typical of the area in order to obtain maximum precision in precipitation measurements. All sensors are powered by solar energy for fully autonomous operation. The station is connected to the local network of the building and all the information is sent automatically and in real time to the cloud for remote monitoring and management by the Department of the Environment. Additionally, the data is also available online to the public via the Weathercloud platform.